Is your class ready for Digital Technologies 2020? We create and align our courses specifically to the NZ curriculum. We have created a whole new group of Junior courses for Primary schools up to Junior High Schools that are designed to meet the progress outcomes of the new digital technologies (DT) curriculum, and at younger levels, help students meet the NZ maths curriculum. Below is an overview of the courses by year level and how we recommend you could incorporate digital technologies into your classroom. Each course will have lesson plans that have a break down of the new progress outcomes, achievement outcomes, lesson outcomes/learning intentions as well as notes to help new teachers explain and learn the concepts and offline activities and resources. The junior courses can be done on iPad, chromebooks and of course computers. We recommend at primary school level students work in pairs or, especially at years 1 and 2, teachers work through the content with students as a storytime/mat activity. At middle school level we recommend pair or individuals each to a device. At high school it is pretty typical to have a computer per student so each student doing their own work is recommended. Each course has the actual course, lesson plans, offline activities and various other resources found in the lesson plans. Use the primary school login for easy student access and be sure to use the student dashboard on your teacher tab to monitor student work. Read our classroom guide and other guides for more information. Explanations of the new Technologies curriculum. Here is the official Technologies curriculum pdf. 1.1: Is your class ready for Digital Technologies 2020? Digital Technologies is taking a starring role in the latest New Zealand Curriculum to ensure all learners have the digital skills they'll need to thrive in the futureâ€”and we're here to help! Our new Junior courses for Year 1 - 10 students are aligned to meet the progress outcomes of the new Digital Technologies curriculum, while also helping younger students to meet the Maths curriculum. We're ready to help young learners createâ€”not just consumeâ€”our awesome digital world, and make it easy and fun for teachers to plan lessons and meet the new criteria. Be compulsory for every student from Year 1 - Year 10. This means it will become a core part of the curriculum for all primary and middle schools, then integrate with NCEA options in Year 11. Shift from Achievement Outcomes (AOs) to Progress Outcomes (POs). Instead of 8 AOs to meet at every curriculum level, there are only 13 POs to meet across a student's entire schooling to significantly reduce workload. Embed the three strands of Technological Practise, Technological Knowledge and Nature of Technology into the POs, which are focused on two technological areas: Computational Thinking and Designing and Developing Digital Outcomes. See our suggested year plans to easily meet the POs for each area and curriculum level. Take a non-linear approach, with POs shared across curriculum levels. Code Avenger's Junior courses are designed to support this with content to meet the PO requirements of each level while also building strong foundational skills for future POs. Note: If you are teaching a high school technology other than Digital Technologies (DT), your area remains unchanged. Your students will still meet the old Achievement Outcomes (AOs) from the 3 strands. Find them here on TKI from the MOE. Our Junior courses; Data Representation, Computational Thinking, and Programming meet the first 5 progress outcomes. In our Pro track we support the iteration, programming, digital outcome and data management standards. See NCEA section for more details. In authentic contexts and taking account of end-users, students give, follow and debug simple algorithms in computerised and non-computerised contexts. They use these algorithms to create simple programs involving outputs and sequencing (putting instructions one after the other) in age-appropriate programming environments. In authentic contexts and taking account of end-users, students decompose problems into step-by-step instructions to create algorithms for computer programs. They use logical thinking to predict the behaviour of the programs, and they understand that there can be more than one algorithm for the same problem. They develop and debug simple programs that use inputs, outputs, sequence and iteration (repeating part of the algorithm with a loop). They understand that digital devices store data using just two states represented by binary digits (bits). In authentic contexts and taking account of end-users, students decompose problems to create simple algorithms using the three building blocks of programing: sequence, selection, and iteration. They implement these algorithms by creating programs that use inputs, outputs, sequence, basic selection using comparative operators, and iteration. They debug simple algorithms and programs by identifying when things go wrong with their instructions and correcting them, and they are able to explain why things went wrong and how they fixed them. Students understand that digital devices represent data with binary digits and have ways of detecting errors in data storage and transmission. They evaluate the efficiency of algorithms, recognising that computers need to search and sort large amounts of data. They also evaluate user interfaces in relation to their efficiency and usability. In authentic contexts and taking account of end-users, students independently decompose problems into algorithms. They use these algorithms to create programs with inputs, outputs, sequence, selection using comparative and logical operators and variables of different data types, and iteration. They determine when to use different types of control structures. Students document their programs, using an organised approach for testing and debugging. They understand how computers store more complex types of data using binary digits, and they develop programs considering human-computer interaction (HCI) heuristics. In authentic contexts and taking account of end-users, students determine and compare the â€œcostâ€ (computational complexity) of two iterative algorithms for the same problem size. They understand the concept of compression coding for different media types, its typical uses, and how it enables widely used technologies to function. Students use an iterative process to design, develop, document and test basic computer programs. They apply design principles and usability heuristics to their own designs and evaluate user interfaces in terms of them. In authentic contexts and taking account of end-users, students analyse concepts in digital technologies (for example, information systems, encryption, error control, complexity and tractability, autonomous control) by explaining the relevant mechanisms that underpin them, how they are used in real world applications, and the key problems or issues related to them. Students discuss the purpose of a selection of data structures and evaluate their use in terms of trade-offs between performance and storage requirements and their suitability for different algorithms. They use an iterative process to design, develop, document and test advanced computer programs. Students understand accepted software engineering methodologies and user experience design processes and apply their key concepts to design, develop, document and test complex computer programs. Find Computational Thinking exemplars on Technology Online for most of the POs. Find DO exemplars on Technology Online for most of the POs. Currently we have no Junior courses to meet this strand. Our Pro courses are the HTML-CSS and Web Development courses. In authentic contexts and taking account of end-users, students participate in teacher-led activities to develop, manipulate, store, retrieve and share digital content in order to meet technological challenges. In doing so, they identify digital devices and their purposes and understand that humans make them. They know how to use some applications, they can identify the inputs and outputs of a system, and they understand that digital devices store content, which can be retrieved later. In authentic contexts and taking account of end-users, students make decisions about creating, manipulating, storing, retrieving, sharing and testing digital content for a specific purpose, given particular parameters, tools, and techniques. They understand that digital devices impact on humans and society and that both the devices and their impact change over time. Students identify the specific role of components in a simple input-process-output system and how they work together, and they recognise the "control roleâ€ that humans have in the system. They can select from an increasing range of applications and file types to develop outcomes for particular purposes. In authentic contexts, students follow a defined process to design, develop, store, test and evaluate digital content to address given contexts or issues, taking into account immediate social, ethical and end-user considerations. They identify the key features of selected software and choose the most appropriate software and file types to develop and combine digital content. Students understand the role of operating systems in managing digital devices, security, and application software and are able to apply file management conventions using a range of storage devices. They understand that with storing data comes responsibility for ensuring security and privacy. In authentic contexts, students investigate and consider possible solutions for a given context or issue. With support, they use an iterative process to design, develop, store and test digital outcomes, identifying and evaluating relevant social, ethical and end-user considerations. They use information from testing and apply appropriate tools, techniques, procedures and protocols to improve the quality of the outcomes and to ensure they are fit-for-purpose and meet end-user requirements. In authentic contexts and with support, students investigate a specialised digital technologies area (for example, digital media, digital information, electronic environments, user experience design, digital systems) and propose possible solutions to issues they identify. They independently apply an iterative process to design, develop, store and test digital outcomes that enable their solutions, identifying, evaluating, prioritising and responding to relevant social, ethical and end-user considerations. They use information from testing and, with increasing confidence, optimise tools, techniques, procedures and protocols to improve the quality of the outcomes. They apply evaluative processes to ensure the outcomes are fit-for-purpose and meet end-user requirements. In authentic contexts, students independently investigate a specialised digital technologies area and propose possible solutions to issues they identify. They work independently or within collaborative, cross-functional teams to apply an iterative development process to plan, design, develop, test and create quality, fit-for-purpose digital outcomes that enable their solutions, synthesising relevant social, ethical and end-user considerations as they develop digital content. Students integrate in the outcomes they develop specialised knowledge of digital applications and systems from a range of areas, including: network architecture; complex electronics environments and embedded systems; interrelated computing devices, hardware and applications; digital information systems; user experience design; complex management of digital information; and creative digital media. Digital technologies is a foundational field for 21st century learners. Code Avengers helps teachers and learners engage with digital technologies in a project-based, cross-curricular approach. Below are the five main areas of digital technologies. All underpinned by the two areas of computer science and humans & computers. Store information so that computers can efficiently move and process it. "Explore the history of numbers and data representation, from the stone age through to the digital age. Then learn how computers store books, music, photos and games by representing data using just zeros and ones." Set of steps to accomplish a task. "Algorithms are the step-by-step instructions that you give to computers to make them solve problems. In this track you'll learn how to break down difficult problems and design creative solutions." Writing algorithms in a language computers understand. "Learn how to write programs that make computers do amazing things. Youâ€™ll create interactive animations, and develop awesome games, all with code that youâ€™ll write yourself!" How do computers work? How do devices communicate with each other? "Explore how computers transfer and share data in a wired, wireless and mobile world. Then learn how to keep your computer free from viruses, modify databases and protect your precious data from evil hackers." Design & build digital applications & systems that meet human needs. "Explore the magical tools and techniques used to build engaging apps, games and websites. Dive into the world of design and human-computer interaction as you learn to create the perfect user experience." Learn more about why you should learn computer science, break downs of the new Digital technologies curriculum and resources to help your teaching. The Junior Curriculum overview slides provide some guidance for teachers on the new Digital Technologies curriculum, as well as details on current and upcoming Code Avengers courses that support the delivery of it. For further information about the curriculum and Code Avengers alignment contact Hannah Taylor - hannah@codeavengers.com. For more information about sales and student/school subscriptions contact Adam Walmsley - adam@codeavengers.com., 021-506-696. These slides provide some guidance for teachers on the differences between the old and new Digital Technologies Achievement Standards, as well as details on current and upcoming Code Avengers courses that support the delivery of these standards. Each course will take about 10 hours of teaching, including activities and teacher explanations. Each Project is between 30 mins to 1 1/2 hours long, dependant of the lesson plan and content. This is our recommended order of completing the junior courses and the levels to best introduce the Programming O content. You could do Programming 1 first, or all Data Representation 1, Computational Thinking 1 and Programming 1 in Year 3 or whatever suits your students. At the end of year 9 students are expected to meet Progress Outcome 4 in the Computational Thinking strand and PO2 of the Digital Outcomes strand, working towards PO3. Many schools will have varied timetables- some only get 6 weeks, some a term, some 2 terms. Not many have a whole year at Yr 9 for Digital Technologies. Below is a suggestion of possible CA courses, but we would recommend a mix of Code Avengers and other resources to build student interest and ability. AL0 - Develop computational thinking skills (1 hr) Graphic design- learn to use pixlr or gimp or photoshop to make graphics. Learn about Vector vrs Bitmap. Draw flags of the world (1 hr) Explore how the form of a product is designed to meet it's function. E.g, Why don't we make coffee cups from butter? What does a cup need to be used as a cup? Use Sketch Up,or similar software, to create 3d models. 2 Algorithms 0: Logical thinking and learning about algorithms. 3 HTML CSS 0 Make a website. Graphic design- learn to use pixlr or gimp or photoshop to make graphics. Learn about Vector vrs Bitmap. 9 Assessment or team project? Assessment or project? Assessment or project? NZ Govt assessments: Free to use. Must be modified. 1 Intro- computer rules etc Bits of design 1 - 2 Learn and apply Typography and Color Theory to your website design. 2 HTML and CSS 1: Learn to make and style a basic website. Programming assessment Build a basic program. 4 1.2 Students design their basic website for assessment. Study leave and trips etc usually make end of term 4 a write off. What are programming languages and how do we use them? This course will teach you what features they contain, the difference between high level and low level languages, and what a compiler is. Students make a basic website and also produce a report on their process of design/making the website showing their iterations of design and code. The iterations assessment is a big project and will need time to be written well. 10 Bits of design 1 - 2 Learn and apply Typography and Color Theory to your website design. 4 Programming assessment 2.46 Study leave and trips etc usually make end of term 4 a write off. Fill with game projects or Comp sci stuff. 6 Develop a conceptual design for a website AS2.3 (91356) (int 6 credits) Recap with Intro to HTML/CSS Going back to HTML now and students should do our intro course as a recap. Web Development 2 with Firebase. NOTE students MUST include 2 original media so we recommend a graphic design. A small assessment to practice for the bigger one in term 2. 4 Study leave and trips etc usually make end of term 4 a write off. Find links to courses, resource and assessments matched to NZ school levels. * Course not yet released. These CA Junior level 1 courses are for 5-8 year olds at Curriculum levels 1-2. A [[https://nzmaths.co.nz/elaborations-levelival crisis: Aunt Kate has a problem, she has to make sure that everything is ready for the grand opening of the Carnival and has fallen sick. NZ Digital Technologies - Foundational for Computational Thinking PO3: "Understand that digital devices store data using just two states represented by binary digits (bits)." ACTDIK002 Recognise and explore patterns in data and represent data as pictures, symbols and diagrams. ACTDIP003 Collect, explore and sort data, and use digital systems to present the data creatively. Help Tilley and Charlie get to the campsite or see the shooting stars? Learn that algorithms can solve your problems by breaking things down into ordered steps or instructions. NZ Digital Technologies - PO1 In authentic contexts and taking account of end-users, students use their decomposition skills to break down simple non-computerised tasks into precise, unambiguous, step-by-step instructions (algorithmic thinking). NZ Science Planet Earth and beyond - Interacting systems, Astronomical systems. Find out what happened at the beach that day? Why are Lonnie and Alex friends again? Retell the story through writing animation programs and find a few bugs on the way. PO1 In authentic contexts and taking account of end-users, students ... give [algorithmic] instructions, identify any errors in them as they are followed, and correct them (simple debugging). PO2 In authentic contexts and taking account of end-users, ... students use algorithms to create simple programs involving outputs and sequencing (putting instructions one after the other) in age-appropriate programming environments." NZ Science Living world - Life processes. These CA Junior level 2 courses are for 8-11 year olds at Curriculum levels 2-3 (Years 4, 5 and 6). Join Cody and Ava as they learn about the history of human communication. Along the way you'll uncover hidden clues that reveal a mysterious secret. Understand that digital devices store data using just two states represented by binary digits (bits). "There are some very strange goings on at the this zoo! Develop your logic skills and learn to make the best decision. Discover what is behind the "Restricted Access" door"
PO2 In authentic contexts and taking account of end-users, students give, follow and debug simple algorithms in computerised and non-computerised contexts. They use these algorithms to create simple programs involving outputs and sequencing (putting instructions one after the other) in age-appropriate programming environments. ACTDIP010 Define simple problems, and describe and follow a sequence of steps and decisions (algorithms) needed to solve them. If more falls and scrapes happen the teachers are threatening to close the bike park! Learn how to design computer programs that will create interactive safety apps and quizzes. Find out how computers can help in the decision making process. PO2 In authentic contexts and taking account of end-users, students ... use algorithms to create simple programs involving outputs and sequencing (putting instructions one after the other) in age-appropriate programming environments. In authentic contexts and taking account of end-users, students... ...develop and debug simple programs that use inputs, outputs, sequence and iteration (repeating part of the algorithm with a loop). They understand that digital devices store data using just two states represented by binary digits (bits). These CA Junior level 3 courses are for 10 - 13 year olds at Curriculum level 4 (Years 7 and 8). Professor Smart wants to destroy the foundations of technology, our systems of math. Unary, binary, and decimal, oh my! Cody and Ava need your support, and an understanding of place value, to save the history of the world. NZ Digital Technology Computational Thinking PO3 (level 4) They understand that digital devices store data using just two states represented by binary digits (bits). Tilley and Charlie need to save their robot restaurant. Ross the robot is there to help. Using patterns and reading /comparing and designing efficent algorithms you can help them make it "The Best Robot Restaurant". Students will decompose problems into step-by-step instructions to create algorithms for computer programs.They use logical thinking to predict the behaviour of the programs, and they understand that there can be more that one algorithm for the same problem. Students evaluate different algorithms in terms of their efficiency as they recognise that computers need to search and sort a lot of data. Alex and Lonnie create a tourism app for Larrson Castle, and stumble onto a secret. use logical thinking to predict the behaviour of these programs. develop and debug simple programs that use inputs, outputs, sequence and loops. implement [an] algorithm by creating a program that uses inputs, outputs, sequencing, loops and basic selection using comparative operators. debug simple algorithms and programs by identifying if things have gone wrong with their instructions, correcting them, and are able to explain why it went wrong and how they fixed it. These CA courses are for 12 - 15 year olds at around curriculum levels 4-5 in the school years 9 and 10. New govt resources for assessments Free to use. Must be modified. Standards DT# Name CA Course Resources Assessments Cred. An * means we have an assessment but it is not online. Contact support@codeavengers.com to request them. Govt links to the Government assessment resources. Here is the link to approved assessments for university entrance. Note the computer unit standards so not go towards UE and students need 14 credits. Note:We do not focus our courses on the generic standards but we do have some gathered resources from our teaching community. Message us, support@codeavengers.com, to gain access. The ministry has a lot of good resources but boy are they hard to find. New govt resources for assessment Free to use. Must be modified. TKI has resources on Achievement Standards. Be aware that there are "clarifications", "conditions of assessment" and "exemplars" for these but they are NOT clearly linked together... New standards with some explanation of what they are. Actual standards that get updated. Ministry assessments that you can take, modify and use with your class. 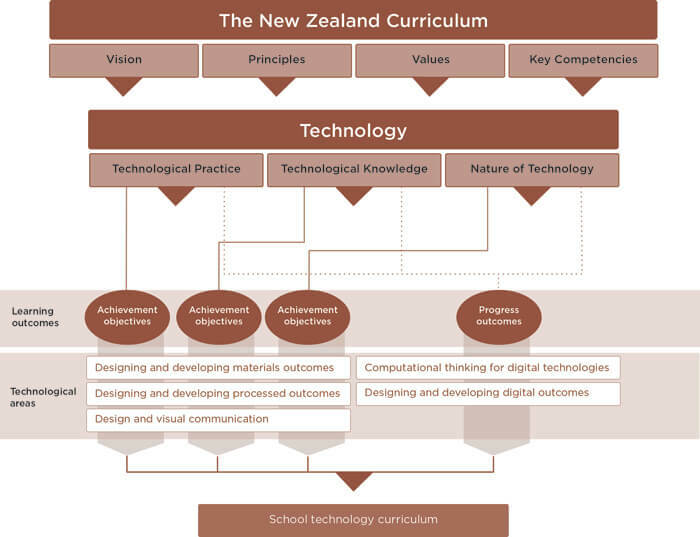 NZQA has information on Unit Standards in Computing and Information Technology. Check if your school has "Consent to Assess"
This is THE NZ forum to be a part of. A very active group the gives you access to support and experts for a small fee.